In this earlier post I reported that the Obama administration is predicting a 9 trillion dollar deficit over the next ten years. Now, the non-partisan Concord Coalition is predicting here a 14. 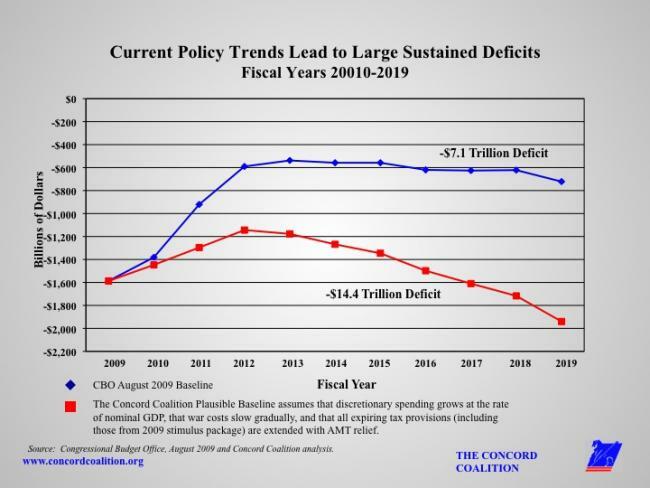 4 trillion dollar deficit over the next 10 years.